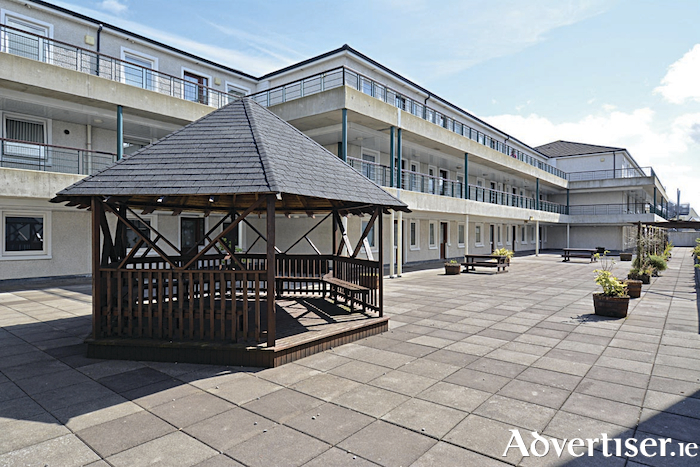 O'Donnellan & Joyce is offering for sale a three bedroom first floor apartment at The Plaza, Headford Road, Galway. The Plaza is a mixture of commercial units and residential apartments on the Headford Road, within five minutes of Eyre Square. It offers a Lidl supermarket and an Argos superstore as well as a number of office units and a grinds school. It is especially convenient, offering ease of access to NUIG, UHG, and a number of retail and industrial parks including the Galway Shopping Centre, Liosban Business Park, and Galway Retail Park. No 13 The Plaza is a three bedroom apartment located the first floor, and is presented in turnkey condition with solid wooden flooring throughout. The property has a fine sized welcoming hall, an open plan kitchen/dining room/lounge with balcony, and three spacious bedrooms with built-in wardrobes and master en suite. A large main bathroom completes the accommodation in this superb residence. This apartment would be an ideal owner occupier residence, holiday home, or gilt edged investment due to its convenient location and excellent rental potential. It would also be very suitable for any parent looking to secure long term accommodation for children attending college or university in Galway city due to its convenient location and secure complex structure. Viewing is highly recommended and guaranteed not to disappoint. The BER is E1. Asking price is €260,000.